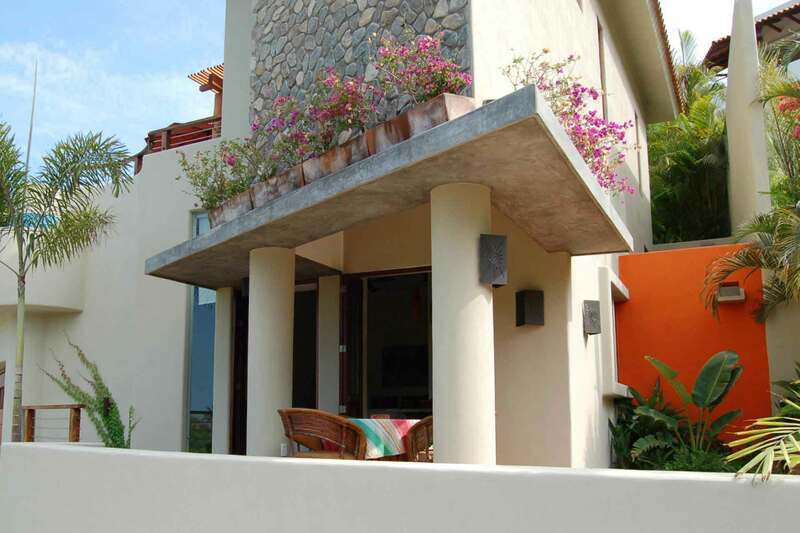 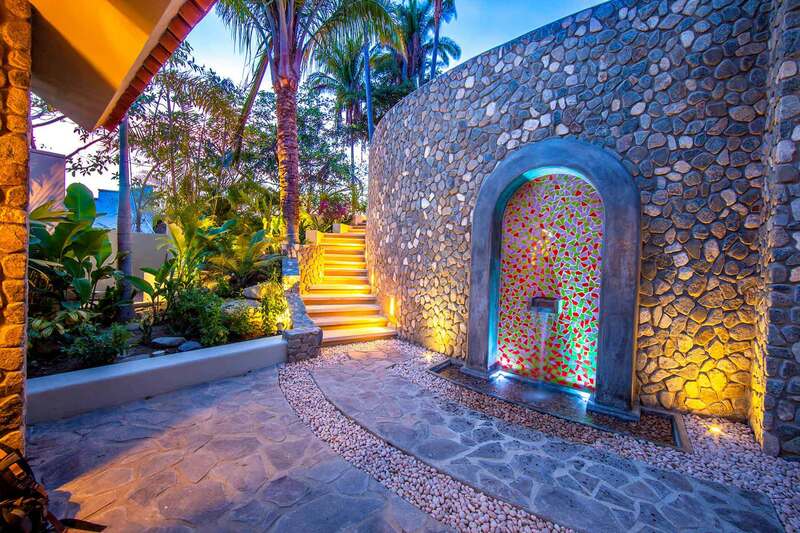 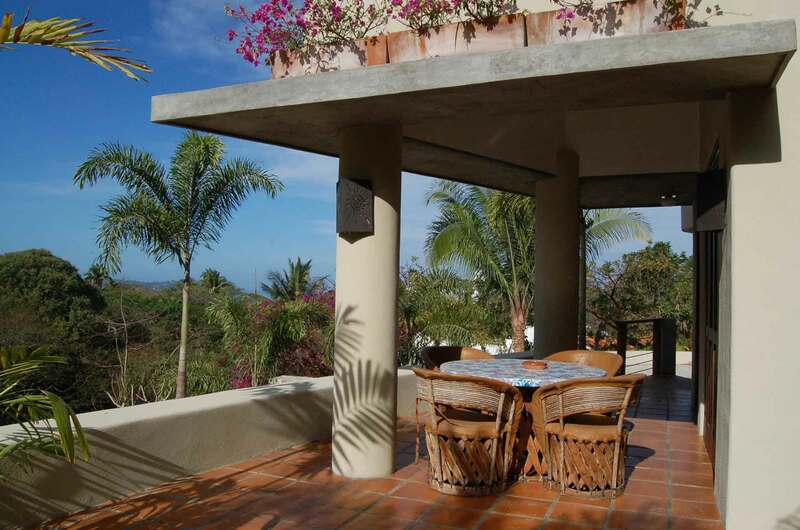 Casita las Piedras sits nestled on a hill, hidden in the private, residential area of Costa Azul. 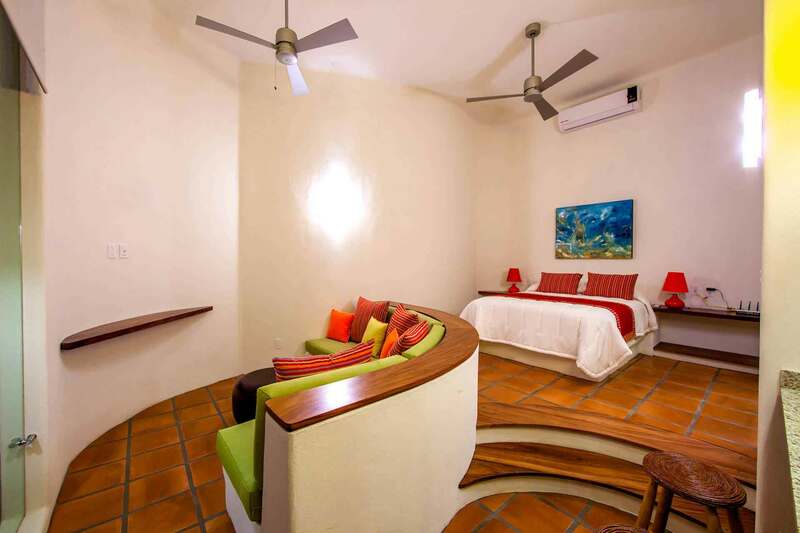 This one bedroom casita is adjacent to a larger two bedroom home. 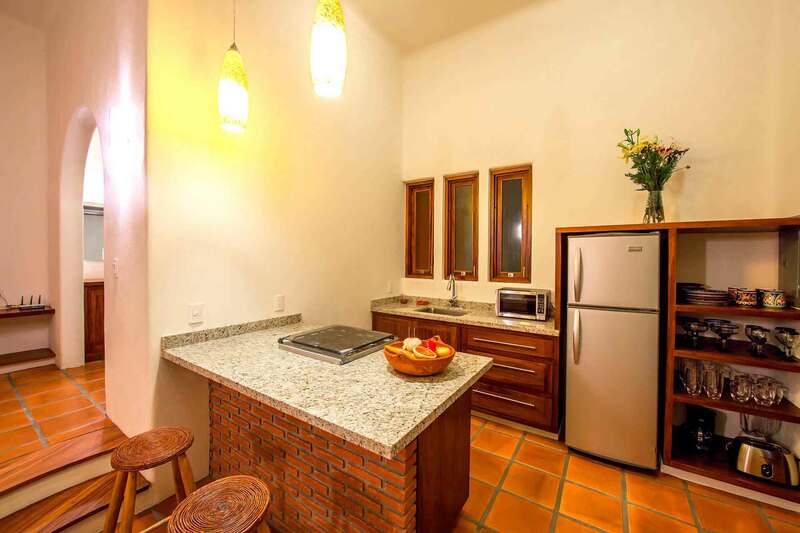 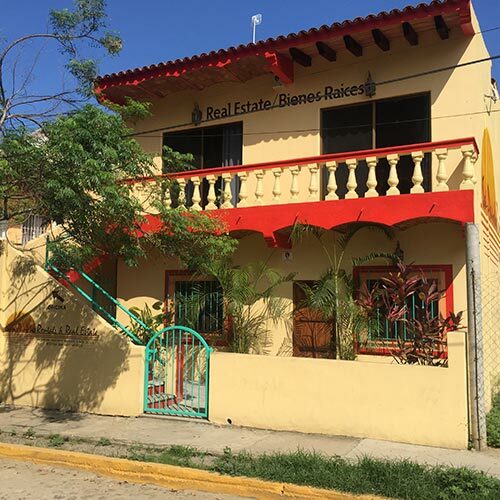 The most unique aspect of this casita is its tranquil, secluded location which is only a 5 minute walk to the pristine San Francisco (San Pancho) beach, and a 10 minute walk to the colorful village where one will find an assortment of restaurants, gift shops and mini grocery stores. 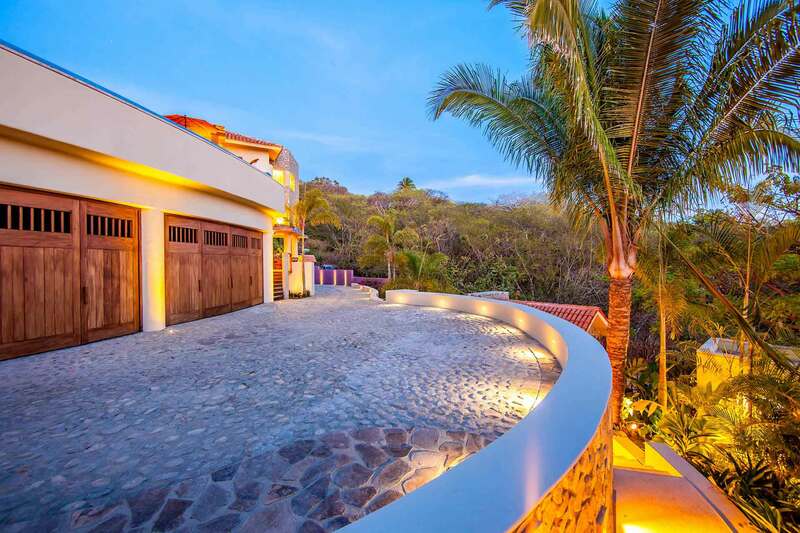 From the parking level, steps lead to the casita which hosts a queen bedroom, built-in cushioned living room sofa, kitchen and private bathroom. 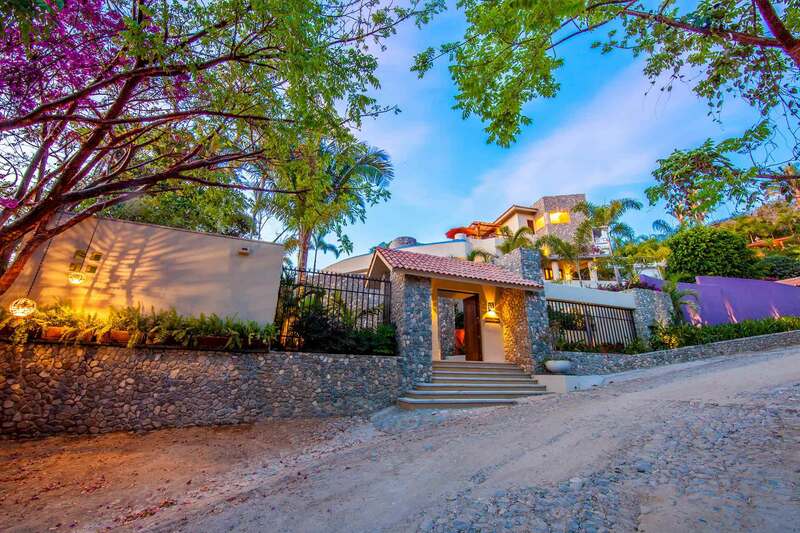 Casita Las Piedras boasts custom wood, extensive rockwork and an outdoor mountain view dining terrace situated next to a lush, tropical garden. 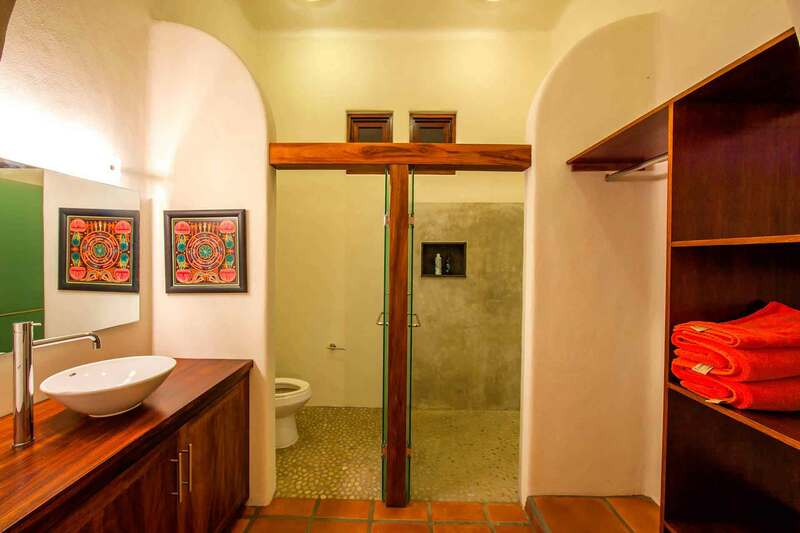 This property is part of a duplex. 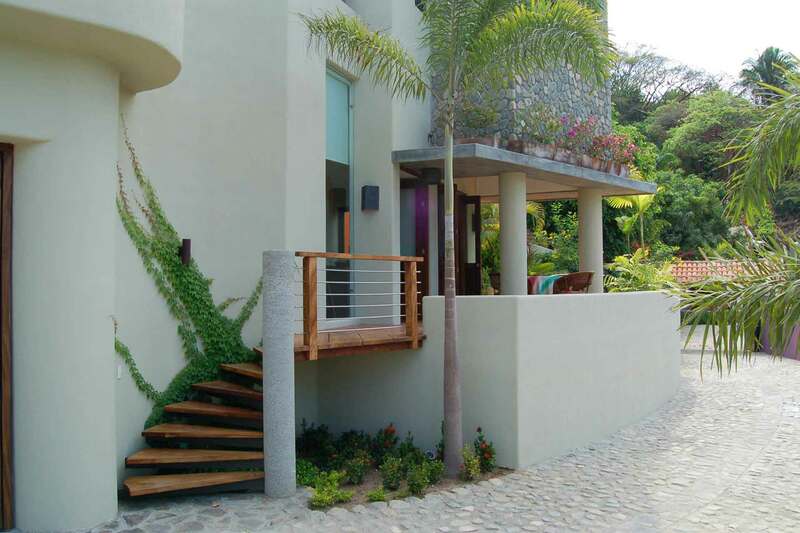 The house and the casita each have private entrances. 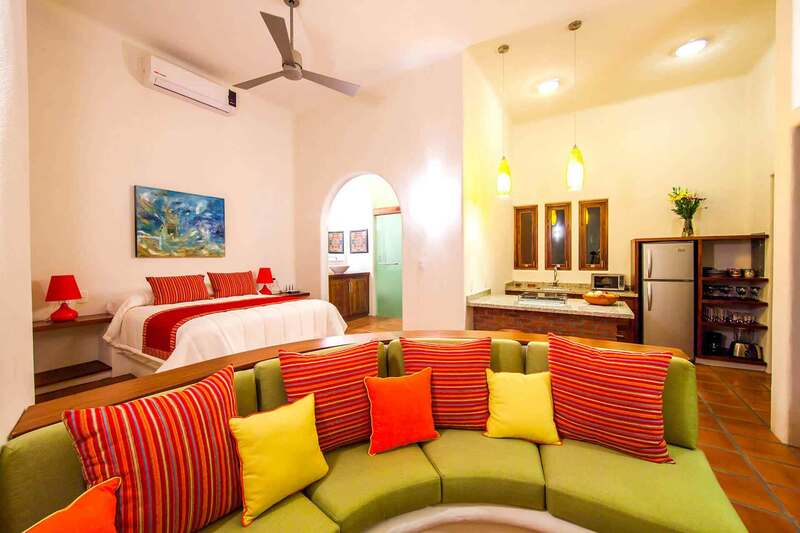 Both units can be rented together or separately. 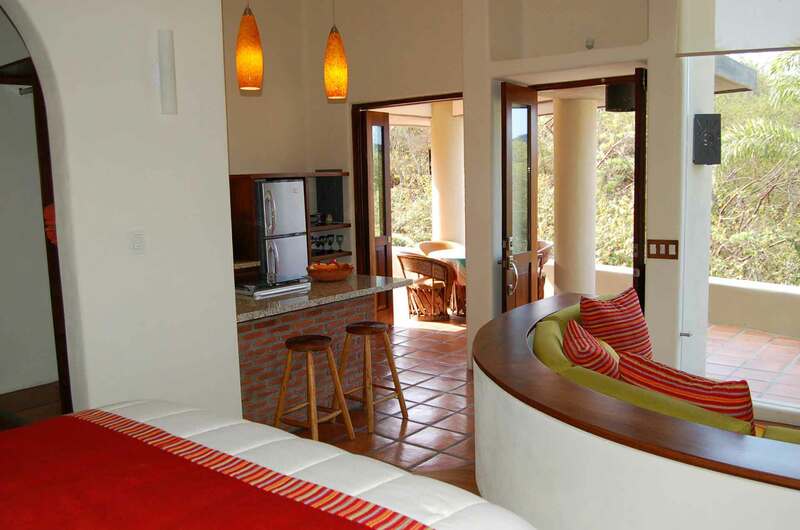  If you rent either unit by itself, the other may be occupied by other guests not in your party. 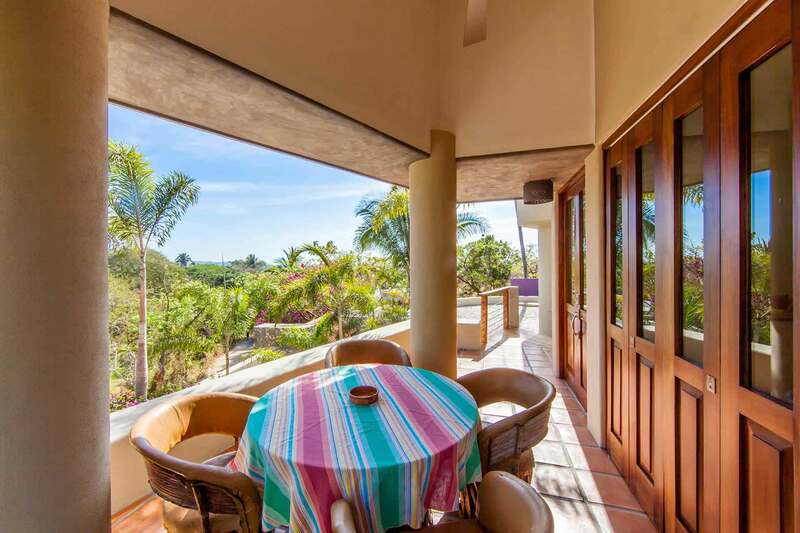 Click here to view the two-bedroom, Casa las Piedras or here to view the three-bedroom, Casa las Piedras & Casita.